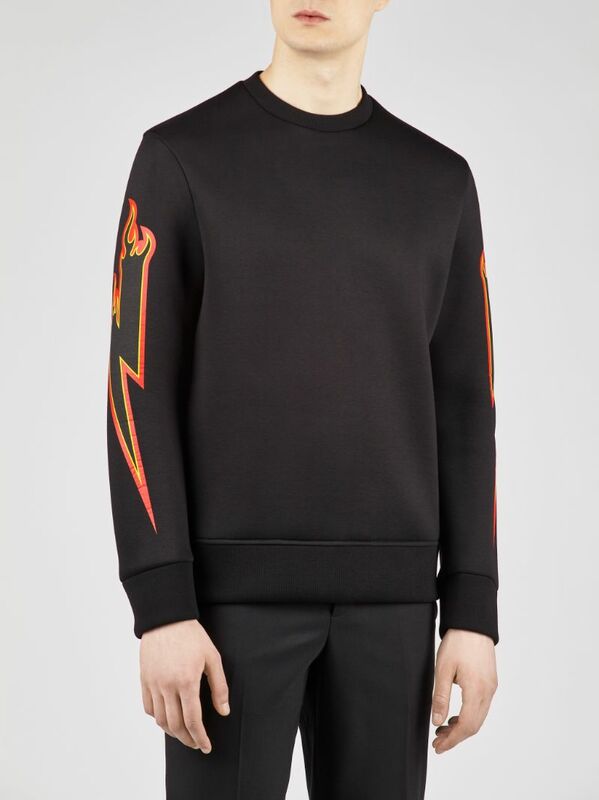 Minimally detailed, this sweatshirt lets a redefinition of Neil Barrett codes do the talking. 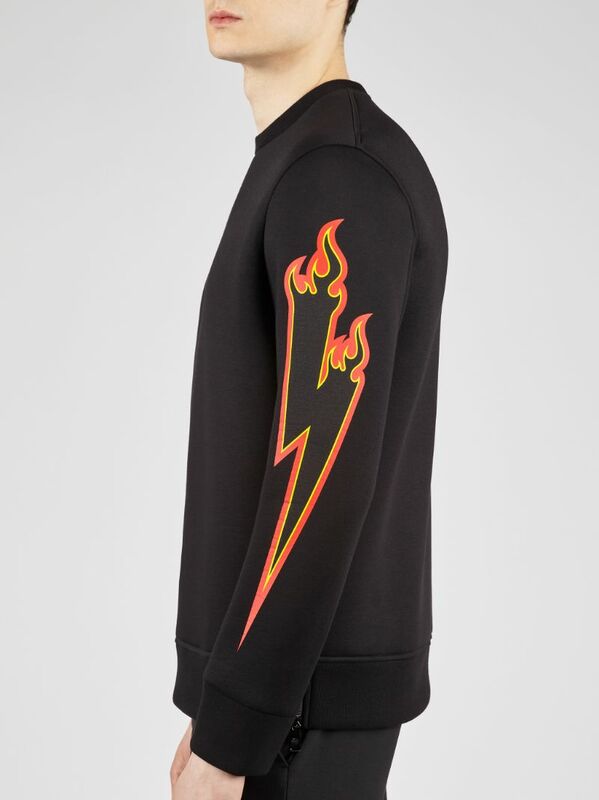 The signature graphic Thunderbolt motif is rendered in a fiery detail, standing out against a black backdrop. 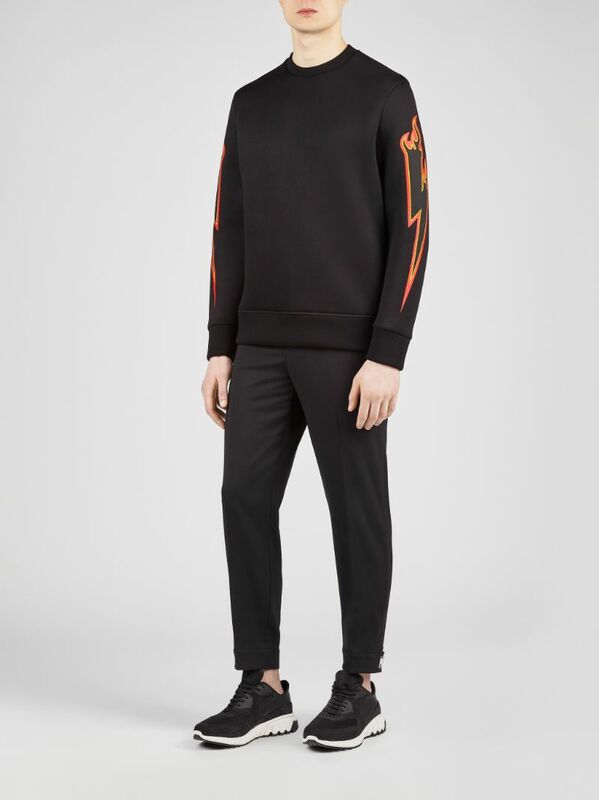 Curved sleeves lend a soft quality to the silhouette.